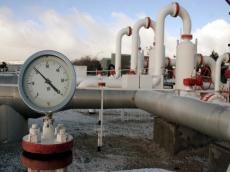 Gas supply in Kyrgyzstan has increased from 22 percent in 2014 to 30 percent in 2018, Tazabek.kg reports referring to the press service of Gazprom Kyrgyzstan LLC. The company announced that over the past 3 years more than 22 billion soms have been invested in the gas industry of the country. These funds were used to reconstruct 113 km of the Bukhara-Tashkent-Bishkek-Almaty gas pipeline, the Chui measuring station, a CNG filling station, the gas distribution stations Sokuluk and Bishkek. The press service added that in 16 residential areas of Bishkek, in settlements in Chui and Osh, gas distribution networks, with a length of more than 400 km, were built, conditions were created for gas supply to more than 20,000 homes.